As 1943 dawns, the citizens of Marsh Point are contributing what they can to help America defeat the Axis Powers. Elizabeth Bittner is the town’s telegrapher, an important job, which has also made her the bearer of terrible news to some of the town’s families. Her closest friend, Veronica Marsh is helping her father manage a group of young Victory Farm Volunteers. The two girls contribute to the war effort by organizing War Bond drives and contributing to the scrap drives and writing letters to Veronica’s brother, Buck, and their friend, Johnny, who are in the Pacific. Elizabeth is also writing to Jimmy, a soldier in the 4th Infantry Division. Ever concerned for the welfare of “their boys,” Elizabeth and Veronica are anxious for their return, but as the girls become conscious of how the war is changing them, they begin to wonder: Will the boys who come home to us—if they do come home—be the boys we knew? 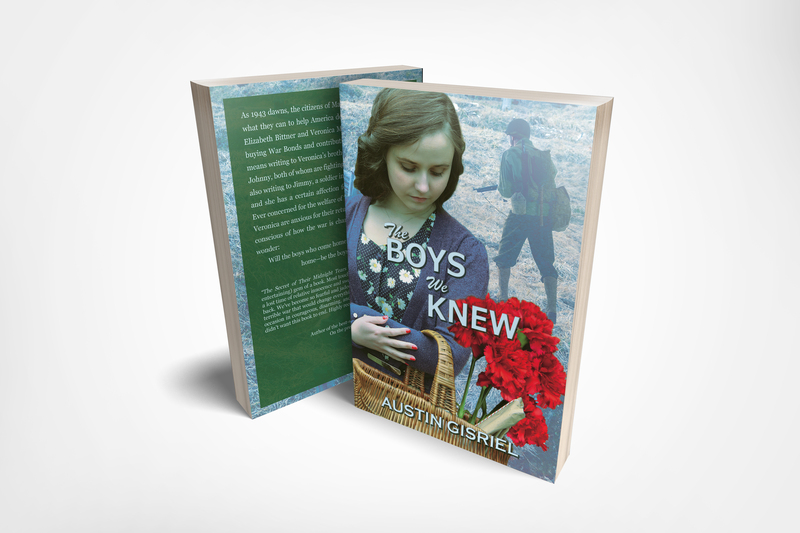 The Boys We Knew is available through Amazon for your e-reader for $1.99 or as a paperback for only $8.50. The e-version contains helpful links to historical events and cultural references of the time. My interview with the Hagerstown Herald-Mail can be found here. Three young men, two young women, one world war. Elizabeth Bittner is in love with Bill Hall whose smooth singing voice enthrall her. She can’t imagine a more exciting place than her home town of Marsh Point, but Pearl Harbor will bring a very adult world to her doorstep. For Veronica Marsh, Pearl Harbor is just the national catastrophe that follows her personal catastrophe. 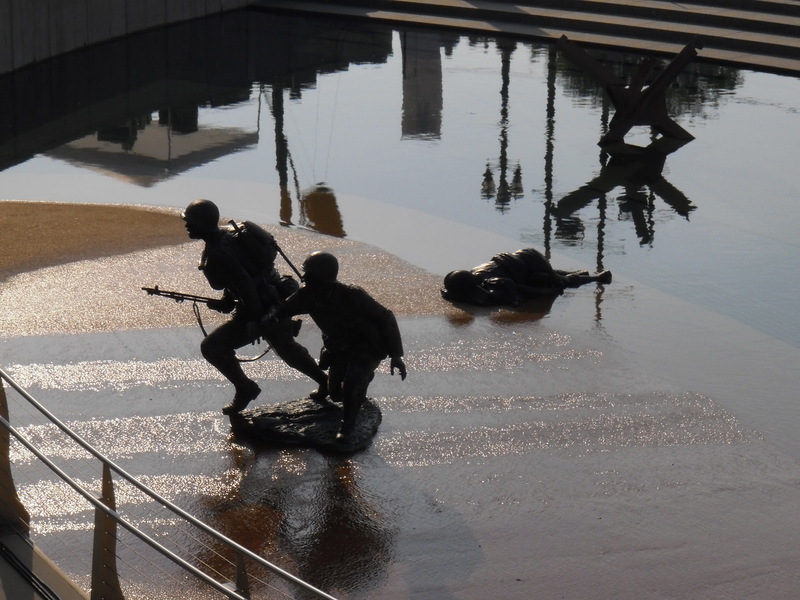 For Veronica’s brother Buck, and the Hall boys, Johnny and Bill, the war will mean the end of their care-free days of baseball and summer evenings in the town’s amusement park. First Johnny, and then Buck join the Marine Corps, but Bill is unable to serve. Johnny and Buck know their enemy on Guadalcanal and can seek him out in the shadows of the jungle. Back home in Marsh Point, however, the enemy of uncertainty is also in the shadows, but it cannot be subdued as easily. It will be difficult to give thanks on Thanksgiving Day, 1942. 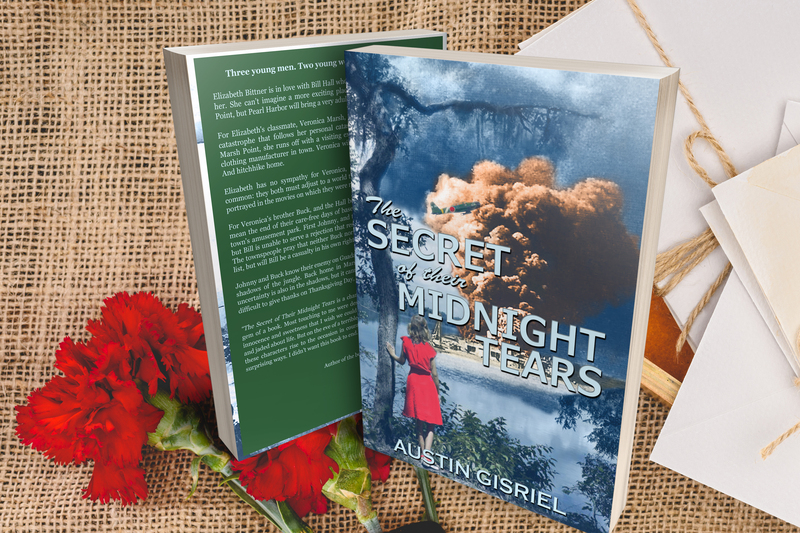 The Secret of Their Midnight Tears is available in paperback or for your Kindle at Amazon. Remember, reviews are always helpful! The paperback retails for $7.50 while the e-versions are only $1.99. The e-version contains helpful links to historical events and cultural references of the time. The Secret of Their Midnight Tears is a charming, uplifting (and entertaining) gem of a book. Most touching to me were descriptions of a lost time of relative innocence and sweetness that I wish we could get back. We’ve become so fearful and jaded about life. But on the eve of a terrible war that would change everything, these characters rise to the occasion in courageous, disarming, and sometimes surprising ways. I didn’t want this book to end. Highly recommended. The Secret of Their Midnight Tears Q & A from Hagerstown’s Herald-Mail. 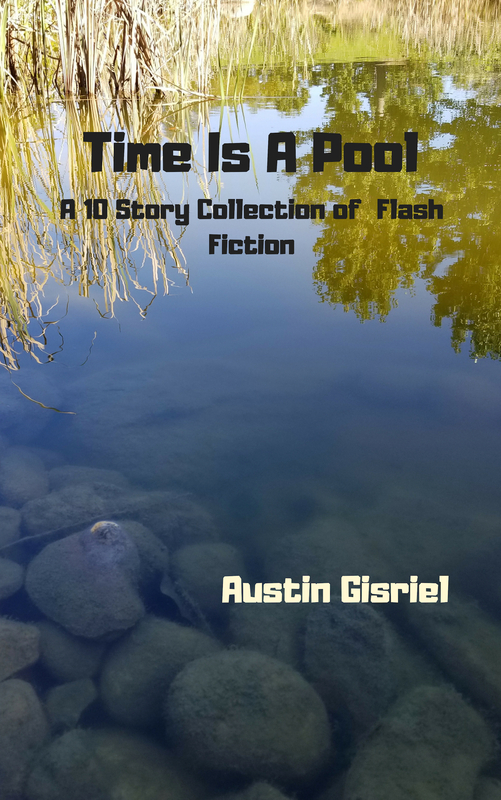 Time Is A Pool, a 10-story collection of flash fiction, is available in paperback from Amazon as well as a Kindle e-book. The paperback version runs $3.99 plus shipping, while the e-book version is $0.99. Read the Hagerstown Herald-Mail Q & A about Time Is A Pool here. Remember, reviews are always helpful! For your free pdf of “The Bedford Girl,” the final story from Time Is A Pool, simply email me at agisriel at yahoo dot com and I will be happy to send it to you. Thank you for your interest! 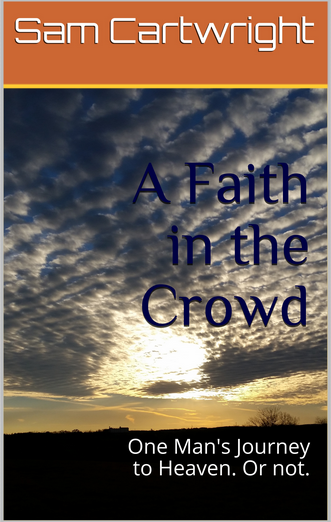 A Faith in the Crowd, by my alter-ego Sam Cartwright, is a wry commentary on religion, particularly modern Christianity, yet is a firm affirmation of the need for faith. Subtitled, “One Man’s Journey to Heaven. Or not,” Sam is felled by four janitors trying to change a light bulb and finds himself on a jumbo jet bound for Heaven where he meets an old girlfriend, Lou Gehrig, the Rat Pack, Methuselah, and “The Boss,” who asks him to write a very important report. In the process, Sam discovers a spiritual side of himself that he didn’t know existed.